Experience the Power of JUST Ten Minutes. I joined the #28DayReboot hoping to get back into the habit of exercise but didn’t expect fitness results. I was pleasantly surprised that at the end of the four weeks not only was I definitely in the exercise habit, but my endurance and strength had improved too. My weights were suddenly too light and I was no longer getting winded going upstairs or playing with my kiddo. You can feel THIS GOOD in just 10 minutes per day. 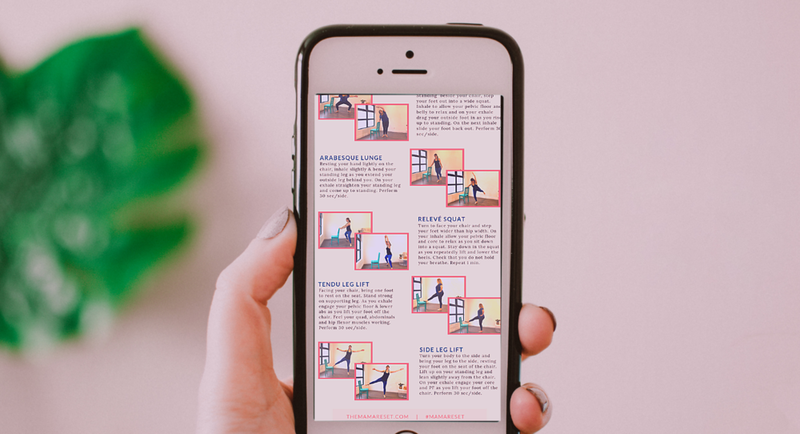 Get 20 expert total-body workout videos & printables just for mamas, with the support you need to FINALLY build that regular exercise habit. ✔️10 minutes to build muscle. ✔️10 minutes to boost your spirits. ✔️10 minutes to feel the burn. ✔️10 minutes to find your flow. ✔️10 minutes to connect to your core. 👍🏾 Daily ten-minute (YES, 10 minute!) home workouts. 👍🏽 Easy to follow exercise videos & photos. 👍🏿 Core & pelvic floor cueing so you get strong inside AND out. 👍🏼 A new workout each day so you NEVER get bored. 👍🏾 A mixture of strength, cardio, yoga & mobility to cover all your bases. 👍🏼 Motivating daily emails & online community to keep you on track. For Less Than You’ll Spend On a Night of (Well-Deserved) Takeout. I wake up excited to get this workout in! I’ve always been a morning person, but getting a movement ritual going has been harder. The combo of your smiling faces and the simple 10 minutes has been the perfect addition to my mornings. Get head-to-toe strong in 28 days with these do-anywhere workouts! Get a new 10-minute workout each and every weekday to keep you motivated and successful. THIS is what you’ve been waiting for! We’ve got the skills to cut through all the fitness B.S. and get to what actually works. 10 MINUTES A DAY WORKS, IF YOU KNOW HOW TO WORK IT. 28 days to build consistency, confidence & control. 👎🏽 Unsafe, out of date core work. 👎🏻 Wasted time on useless exercises. 👎🏽 Unnecessarily long workouts you can’t stick with. And Let Us Teach You The Power of Ten Minutes. + What if I have pelvic Floor Symptoms? No problem. All of the #28DayReboot workouts are low-impact, although you'll definitely feel the burn and work up a sweat! Always follow the guidance of your Pelvic Health Physiotherapist to determine whether an exercise program is right for you. If you're cleared for regular bodyweight exercise, you'll find the core and pelvic floor cueing you need to really engage your deep core in these awesome total body workouts. + Does 10 Minutes Really Do Anything? You bet. The research has piled up over the past several years: short, targeted workouts that don't waste time -- just like the #28DayReboot -- are an effective way to build strength, cardiovascular endurance and core function. We'll give you guidelines to go above and beyond the 10-minute mark for you overachievers, but we recommend you experience the power of short, daily workouts which has worked so well for us and our clients. + I haven't worked out in, um, forever. We gotcha. Each of the #28DayReboot workouts allows you to increase or decrease the intensity as needed for your body. You'll be amazed at how quickly 10 minutes per day will take you from non-exerciser to feeling super fit! + Why Is This Program Different? If you're like us, you've bought about 84,692 online programs and finished, oh, exactly two. We've designed the #28DayReboot to be exceptionally DO-ABLE, and we'll keep you on track by sending your workout daily so you don't get overwhelmed with choices. For just a little over a dollar per day, you'll get 28 days to build the daily exercise habit you've always wanted to have, and have access to your 20 workouts for an entire year of mixing & matching daily 10-minute workouts. 2019 will be your strongest, most confident year yet! + Do My Workouts Expire after 28 Days? Nope. We want to keep you going for ALL of 2019. You'll have exclusive, unlimited access to every #28DayReboot workout for an entire year after purchase. 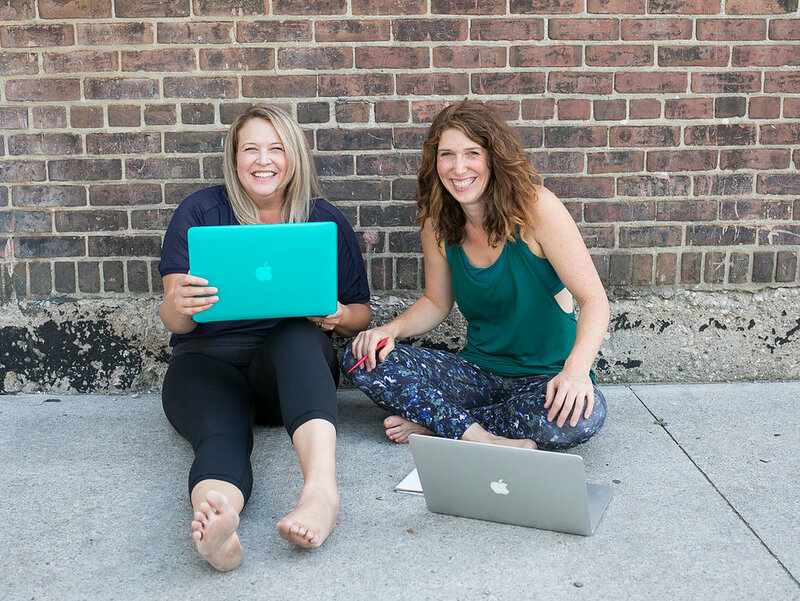 So you can download, print, save and create your own stash of 10-minute Mama Reset workouts ready for you to mix & match each week, all through 2019. This Is Your Time, Mama! The #28DayReboot is the answer you’ve been looking for. Learn the power of 10 minutes and FINALLY build the exercise habit you need to feel strong and confident.